The period covered by Arts:Search is 1911-1916. Available soon. 14 issues. Nos.1-4, quarterly; thereafter monthly. The magazine was conceived and edited by John Middleton Murry and Michael T.H. Sadler. 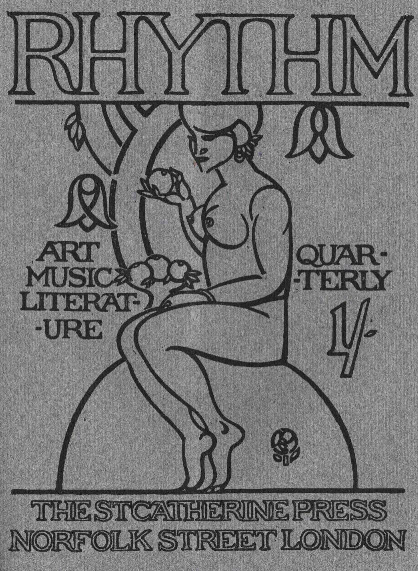 Katherine Mansfield later joined as assistant editor and by the fifth issue John Duncan Fergusson (who designed the cover) was named as art editor. Literary contributors included Murry, Mansfield, Sadler, Holbrook Jackson, Frank Harris, Haldane MacFall, and Rupert Brooke. Artists whos work is illustrated include J.D. Fergusson, Pablo Picasso, Jessie Dismore, Anne Estelle Rice, S,j. Peploe, Augustus John, André Derain, Margaret Thompson. Albert Marquet, André Denoyer de Segonzac, Henri Gaudier- Breszka,, Jack B. Yeats, William Orpen, Horace Brodzky, Nathalia Goncharova, Albert Rothenstein and Mikhail Larionov.